Since 1946, the Barter Theatre in Abingdon has been Virginia’s State Theatre. So, naturally, talk of a Barter outpost in Mount Airy, N.C., caused consternation in the theater’s hometown. 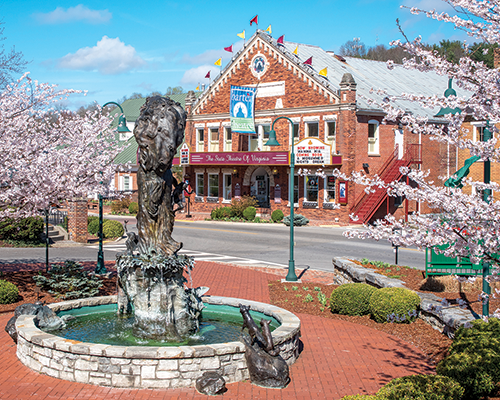 Richard Rose, the theater’s producing artistic director, thinks Abingdon business owners misunderstand the proposed expansion’s potential effect. “Everybody thinks, ‘If [patrons] can go there, they’re not going to come here,’” he says. But the theater already does hundreds of shows away from Abingdon every year. Wherever the players go, Rose says, audiences follow them back to their home theater. “I think people underestimate the appeal of coming to Abingdon, and the appeal of coming to the Barter in Abingdon,” he says. With the coalfields’ economy struggling and the region’s population shrinking, Rose argues, audience growth must come from outside the area. The Mount Airy plan called for spending at least $10 million to create a theater in a former textile mill. The money would come through a mixture of tax credits, capital campaigns and contributions from Mount Airy. The city also agreed to provide annual operating subsidies of up to $600,000 that gradually fall to $100,000 for years six through 15.